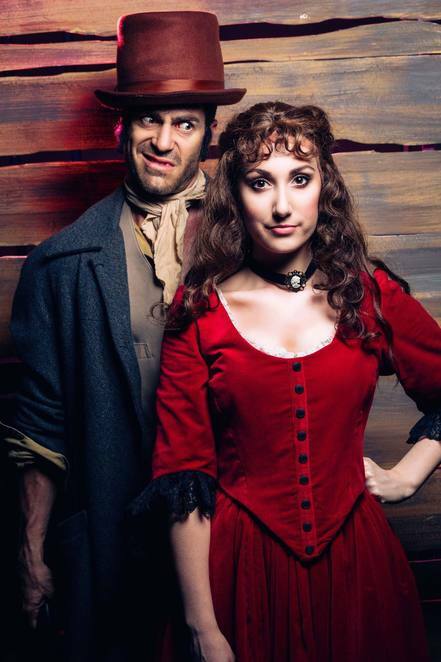 Oliver, Lionel Bart's musical masterpiece, explodes at Spotlight Theatre. What an incredible surprise this production turned out to be. It received a standing ovation on opening night. From beginning to end, Oliver was packed full of adrenalin-fuelled energy from a cast of sixty-five super talented performers, including a dog called Chevy. You'll be delighted with familiar songs such as 'Food, Glorious Food, Oliver, Consider Yourself, You've Got to Pick a Pocket or Two, Oom-Pah-Pah, Where is Love'. Oliver Twist is set in the streets of Victorian England. Nine-year-old orphan, Oliver dares to ask for more food at the workhouse where he's lodged. 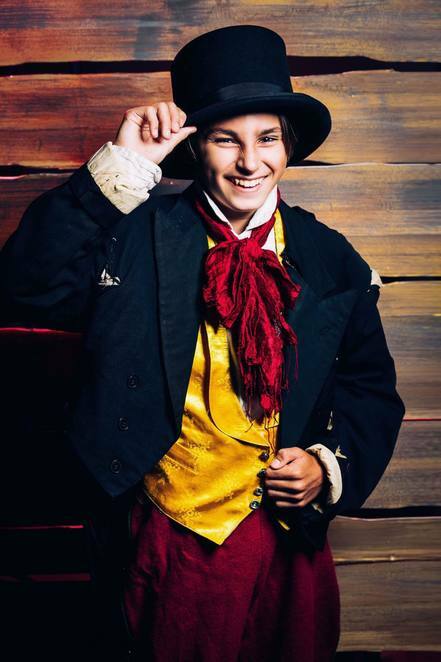 To set an example to the other children, he is sold as an undertaker's apprentice. He later escapes to London where he meets the Artful Dodger, a masterful pickpocket. During his initiation as a pickpocket, Oliver is caught for a theft he didn't commit and later released to the care of Mr Brownlow. This time his fortune changes as he is treated with the love and respect he has always craved. The band of thieves, however, fear being exposed and plot to kidnap Oliver to keep him quiet. The ending is bittersweet with tragedy bringing triumph to this touching tale. Directed by Andrew Cockroft-Penman with musical direction by Caroline Taylor & Ben Murray and choreography by Jamie Watt, this show is bursting with energy and talent. 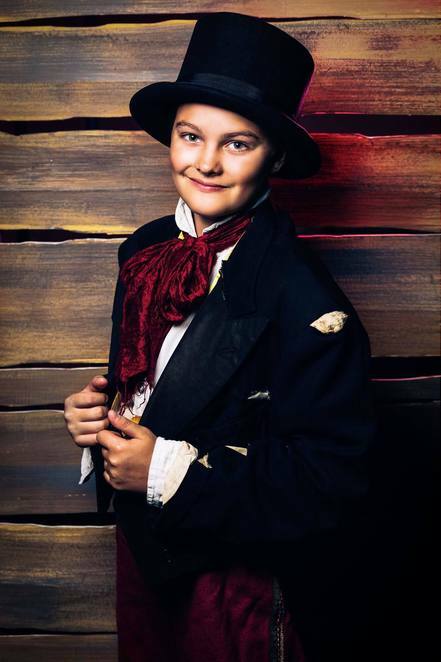 Accompanied by superb sound and lighting, the cast of Oliver deliver top quality entertainment with perfectly rehearsed songs, dances and acrobatics. Every cast member sparkles and is a credit to this extravagant production. I wish I could name all sixty-five cast members but out of respect to all, I will not single out any particular ones because I felt that everyone put in such an extraordinary performance. Every performer from the very young to the not so young stayed in character at all times. Director, Andrew Cockroft-Penman is to be highly commended on his undeniable talent as a director. 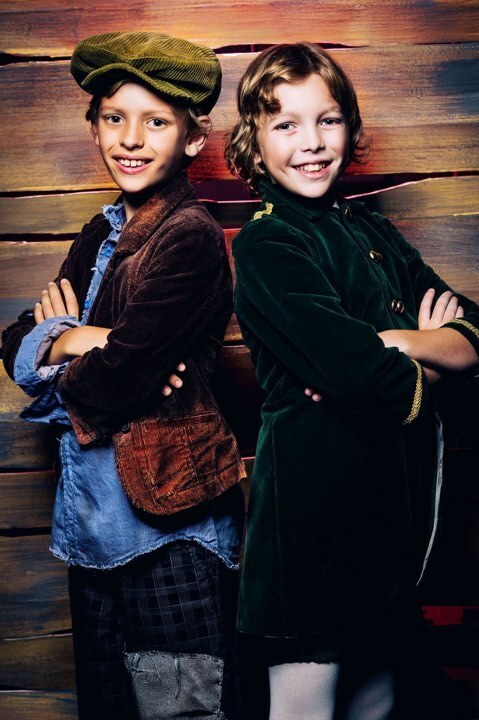 Oliver has a special place in his heart dating back to when he played the role of Oliver at the age of nine. He has a bright future ahead of him in show business. Credit also to Caroline Taylor and Ben Murray for their exceptional musical direction and Jamie Watt for outstanding choreography with such a large cast. Without an extraordinary crew, working their own magic behind the scenes, it would not be possible to put on a production of this caliber. This production of Oliver deserves to be on a professional stage. I urge you not to miss it, regardless of whether you like musicals or not. I'm sure you'll appreciate the energy, visual and auditory appeal. Bring the whole family, including Grandma and Grandpa. They will love it. Book early to avoid disappointment as seating is limited. Spotlight Theatre is set up in dinner theatre style allowing you to sit at a table and enjoy a drink and snack whilst being entertained. It is a licensed venue offering a selection of alcoholic and non-alcoholic drinks, snacks and even a blanket to wrap around yourself if you find yourself getting chilly in the theatre. Why? 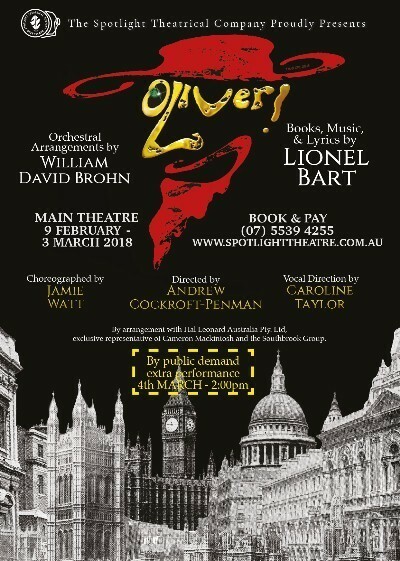 Oliver is an extraordinary production, bursting with local talent.